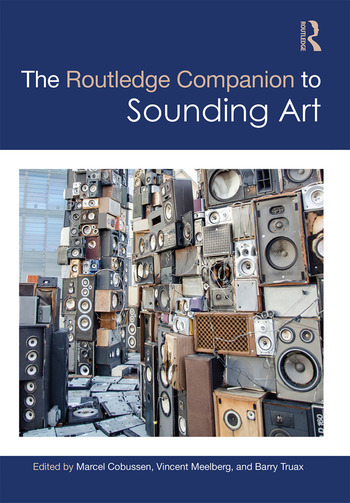 The Routledge Companion to Sounding Art presents an overview of the issues, methods, and approaches crucial for the study of sound in artistic practice. Thirty-six essays cover a variety of interdisciplinary approaches to studying sounding art from the fields of musicology, cultural studies, sound design, auditory culture, art history, and philosophy. The companion website hosts sound examples and links to further resources. Sounding Art: The notion of sounding art, its relation to sound studies, and its evolution and possibilities. Acoustic Knowledge and Communication: How we approach, study, and analyze sound and the challenges of writing about sound. Listening and Memory: Listening from different perspectives, from the psychology of listening to embodied and technologically mediated listening. Acoustic Spaces, Identities and Communities: How humans arrange their sonic environments, how this relates to sonic identity, how music contributes to our environment, and the ethical and political implications of sound. Sonic Histories: How studying sounding art can contribute methodologically and epistemologically to historiography. Sound Technologies and Media: The impact of sonic technologies on contemporary culture, electroacoustic innovation, and how the way we make and access music has changed. With contributions from leading scholars and cutting-edge researchers, The Routledge Companion to Sounding Art is an essential resource for anyone studying the intersection of sound and art. Marcel Cobussen is Professor in Music Philosophy and Auditory Culture at Leiden University, the Netherlands, and the Orpheus Institute in Ghent, Belgium. He is co-founding editor of the open access online Journal of Sonic Studies. Vincent Meelberg is Senior Lecturer and researcher in the Department of Cultural Studies at Radboud University Nijmegen, the Netherlands, and at the Academy for Creative and Performing Arts in Leiden and The Hague. He is co-founding editor of the Journal of Sonic Studies. Barry Truax is a Professor Emeritus in the School of Communication at Simon Fraser University, where he taught courses in acoustic communication and electroacoustic composition, specializing in soundscape composition.